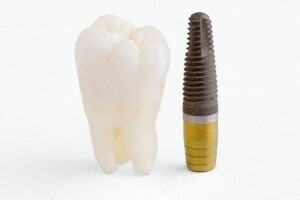 Missing teeth issues can effectively be addressed with dental implants. However, traditional dental implants involve a waiting or healing period that spans a few months; this is the period given to the implants to successfully integrate with the surrounding tissues, and for the gums to heal. During this period, a temporary crown can be used to replace the tooth that is lost. If you are not too keen on wearing temporary crowns, Life Dental Implants London offers you the option of SAME DAY FIXED TEETH (or the immediate loading of dental implants). tissue, and for the lost teeth replacement to be put into place. This procedure is less invasive, avoids complex bone grafting, prevents the onset of bone loss and by its nature is quicker, easier and less costly. Recoverytimes are also much quicker. You can now enjoy same day teeth with dental implants, and say goodbye to the frustrations of having to wait for months to have missing teeth replaced. Life Dental Implants in London will provide you with the information necessary to determine the suitability of immediate dental implants placement for your specific dental needs, so you can have the option of having lost teeth replaced in the same day that they are extracted. Same day teeth enable you to enjoy the quality of life you deserve – without having to wait for a few months for it.